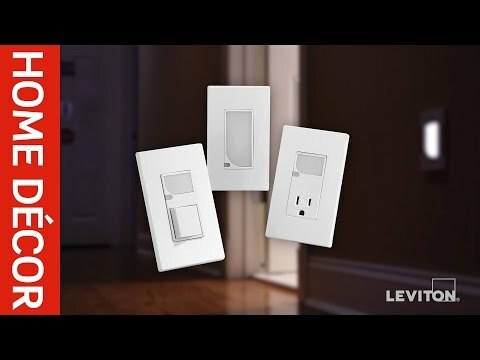 Leviton Decora® IllumaTech® Electromechanical 3-Way preset slide dimmer in white face color, allows to control the brightness of the light. It has voltage rating of 120-Volt AC at 60-Hz. This 1-Pole wall mountable dimmer has maximum load capacity of 1200 VA. It measures 4.15-Inch x 2.12-Inch x 0.38-Inch. Fluid slide movement allows fine adjustment of light level with minimum effort. It provides 1-Pole and multi-location lighting control when used with 3-Way switch. 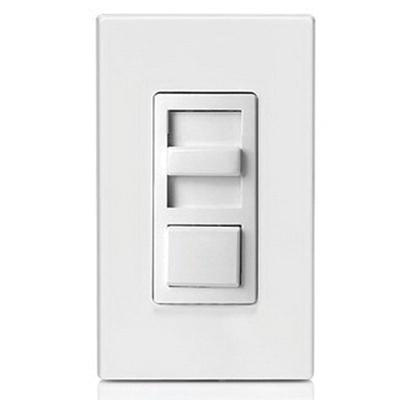 This dimmer is compatible with most LED fixtures using ELV drivers. It is ideal for bedrooms, libraries and study rooms. Dimmer is UL listed, CSA certified and NOM approved.